While transitioning from nomad life in Oakland to nomad life in Portland I planned my road trip via the North Oregon coast. Since weather patterns caused me to reconsider my plan, I opted to take the faster inland route from Oakland to Portland. Along with an overnight stop in Ashland Oregon near the California border. Ashland is beautiful! Since I was longing to see the North Oregon Coast I jumped in my Toyota Yaris on a sunny Friday in Portland. What luck to have sunshine in rainy Portland! I highly recommend a trip to the North Oregon Coast from Portland. 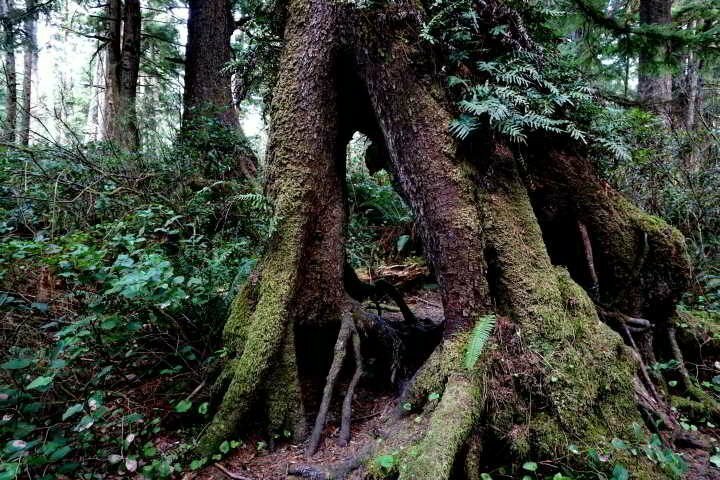 It’s about a 2-hour drive from Portland to the coast. It’s an easy day trip from Portland to the coast. 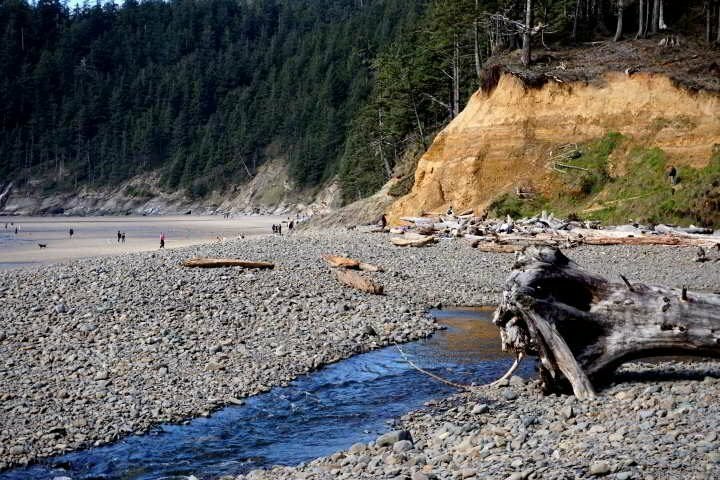 Or you can make it a mini vacation and spend the weekend enjoying the beaches and hiking the trails. 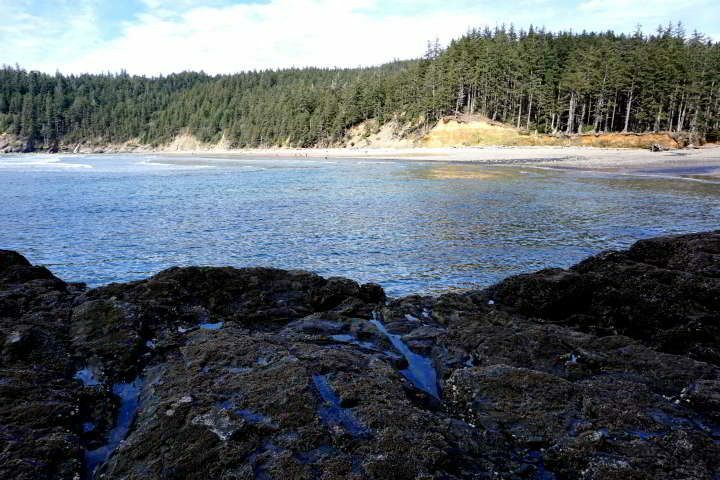 I loved that I could hike through the forest to a beach! But don’t worry if you aren’t into hiking, you don’t have to hike to get to the beach! 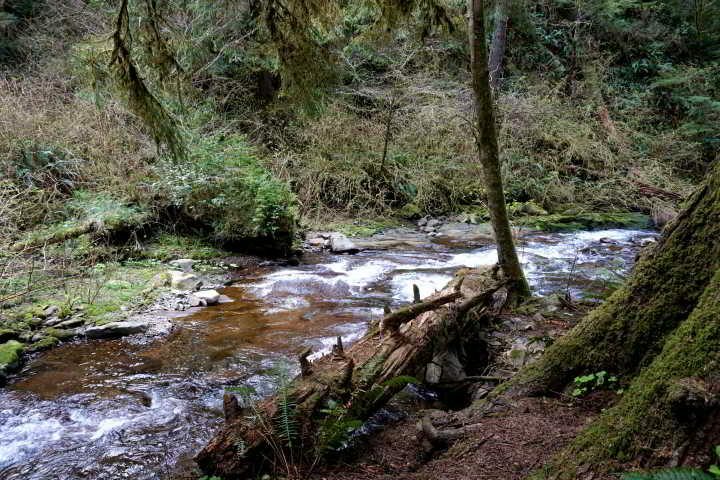 I chose to do a loop route, from Portland to Tillamook via Hwy 26 and Hwy 6. Then driving up the Pacific coast via Hwy 101 to Cannon Beach. And returning to Portland on Hwy 26 just north of Cannon Beach. A beautiful drive all around! 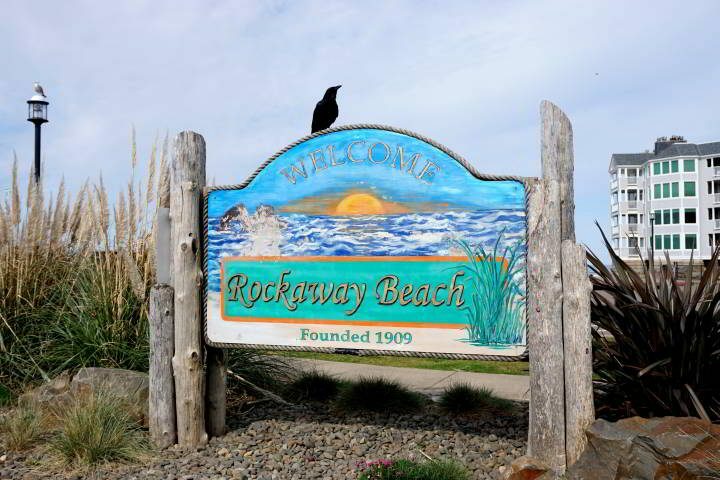 Arriving at Rockaway Beach around 11 AM and parking right across from Beach Bakeshop, well what could I do? I felt obligated to enter the bakery. As a result I walked out with a trio of treats, bacon & cheese biscuit, triple-berry scone, and a lemony poppy-seed muffin. The biscuit was devoured before I finished walking to the beach. And the triple-berry scone and poppy-seed muffin disappeared along the beach walk. So I returned to buy one more triple-berry scone for the road and consumed a bowl of tasty clam chowder for lunch. Arch rock at Rockaway Beach on the Pacific coast. 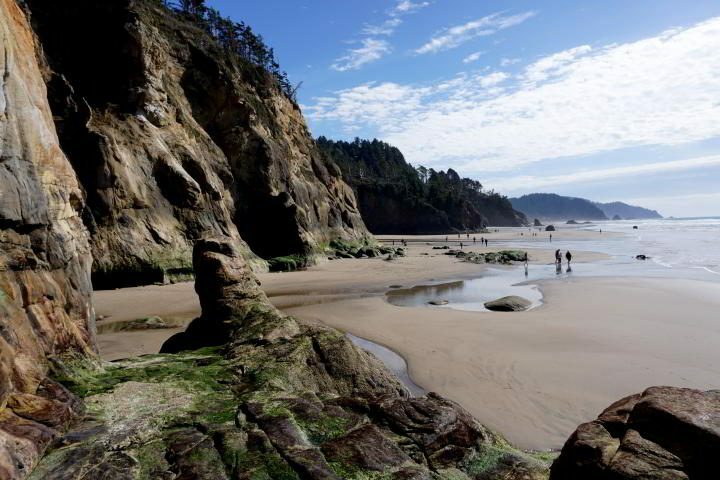 A beautiful day trip to Oregon’s coast from Portland. 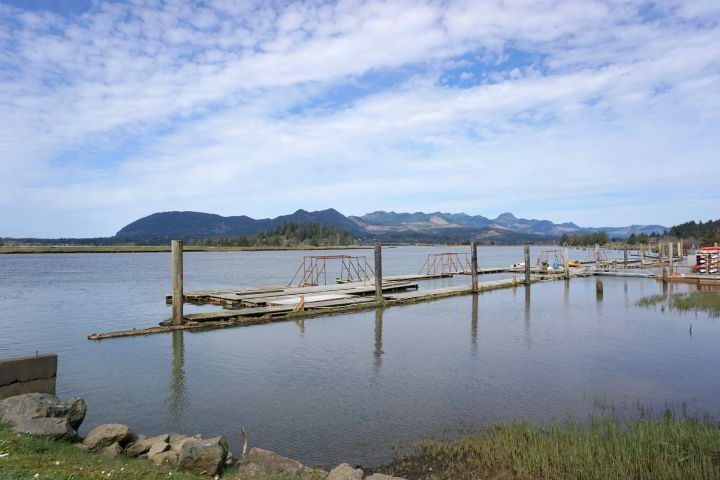 During my drive along Hwy 101 I made stops at Wheeler overlooking Nehalem Bay, Neahkahnie lookout, and Oswald West State Park. Hug Point was my next stop on my road trip. Since this day trip from Portland was taken on a whim I had not planned out each stop along the coast. When I travel I like to wing it, see how the day unfolds. Of course there are pros and cons to the winging it approach to travel. 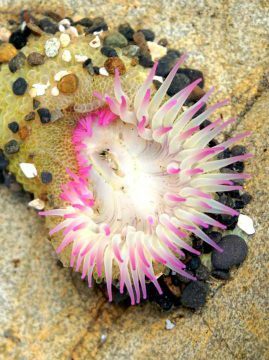 While sometimes I miss out on cool stuff I do love the element of surprise when I happen upon a place like Hug Point beach. 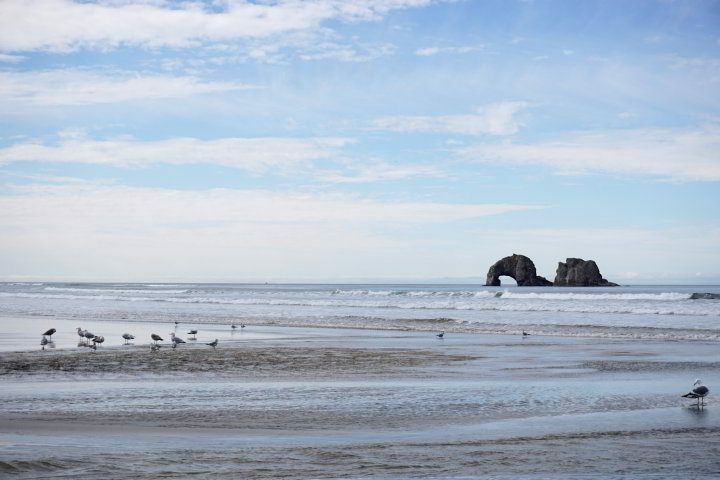 Continuing my coastal road trip along the north Oregon coast I made my last stop at beautiful Cannon Beach. The sunshine will attract a lot of people out to the beach but it does not feel crowded because the beach becomes huge at low tide. People enjoy roaming around the tide pools at Haystack Rock. During the months of April through August Tufted Puffins nest in the area. While staying in Portland a road trip to the North Oregon Coast is highly recommended! Since it is a four-hour round trip start early in the day if you don’t plan to overnight along the Oregon coast. 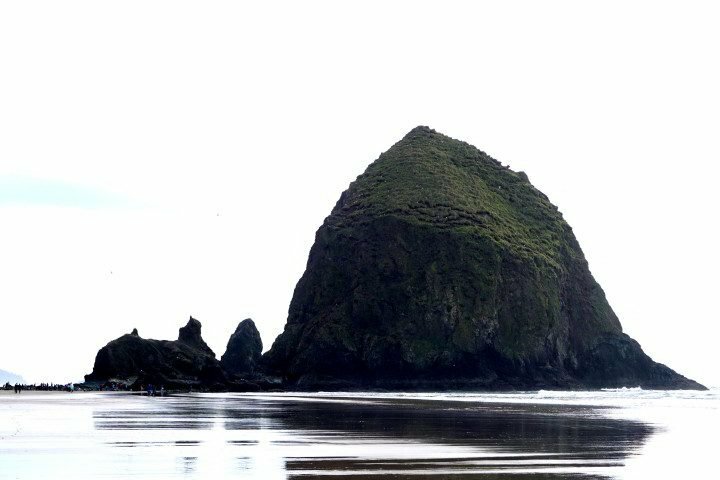 While if you do want to spend a few days I suggest Cannon Beach simply due to the abundant accommodation. 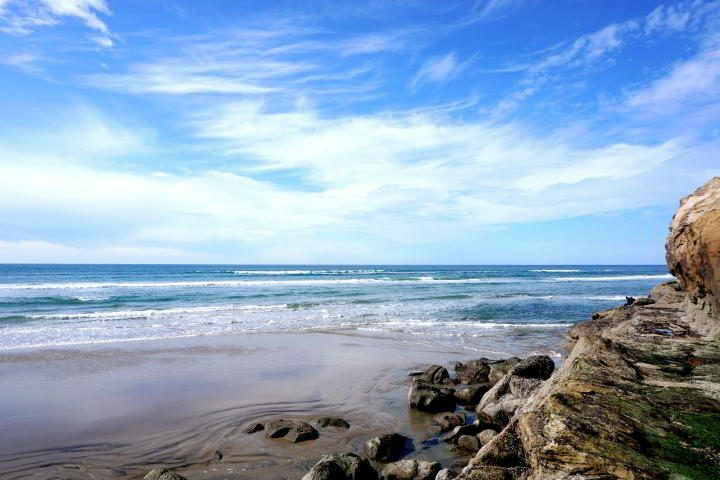 But there are plenty of beach towns along the Oregon coast to choose from. 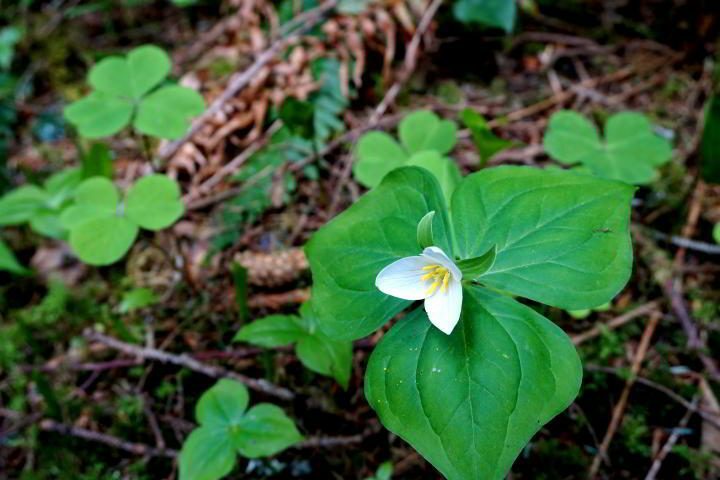 Enjoy road tripping around the North Oregon Coast! Thanks Jo :) I hope to meet up with you on the road again! This nomad life is fun, although there are some challenges, the pros outweigh the cons for sure. It’s so cool visiting places that I had dreamed of visiting for years. Portland is high on my wish list. Now I’ll think about doing this too! Portland is wonderful! If you have time for some day trips the Oregon coast is gorgeous! It’s my kind of road trip – scenic views along the way and plenty of places to stop along coast for hiking or beach walks. 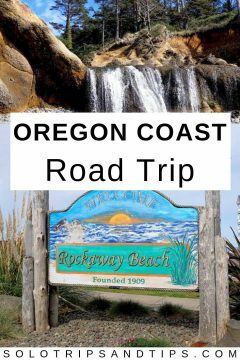 I love day trips like this and the coastal areas of Oregon are so amazing and worth exploring, thanks for sharing them with us. Thanks for stopping by Noel, there are so many cool day trips from Portland but a coastal day trip is so different to all the others in northern Oregon – I just love the PNW region of the USA! The North Oregon coast looks beautiful! 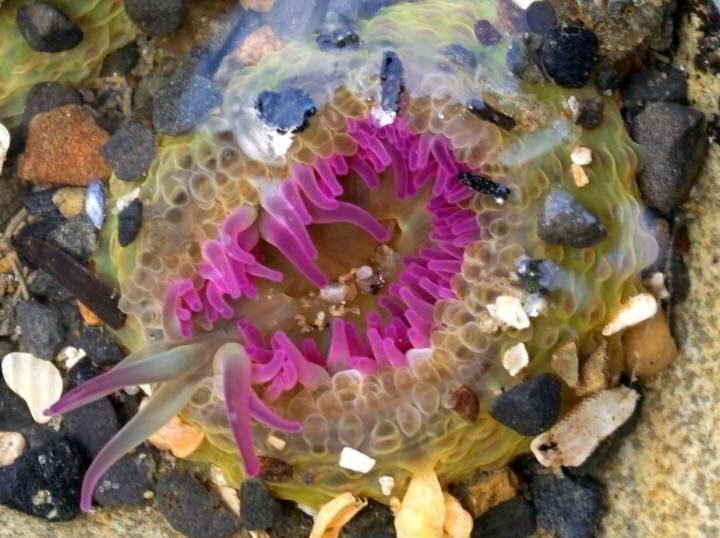 And I love your pictures of the anemones. Thank you Karen! 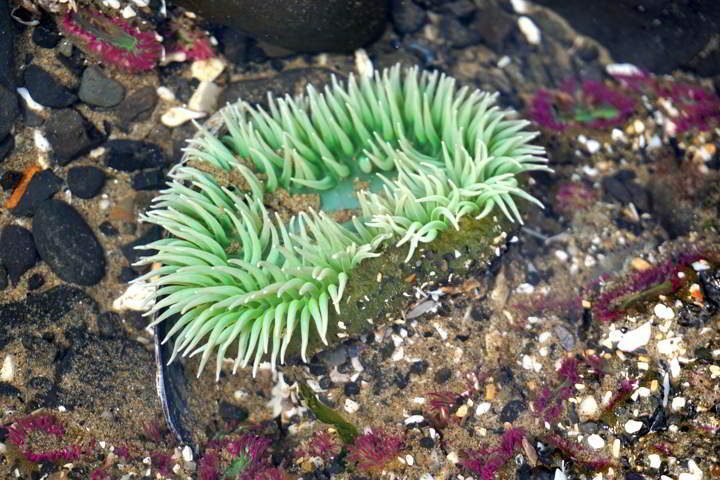 And I’m so happy that I did not drop my new camera into the tide pools at Cannon Beach, like I did in Santa Barbara, hence the new camera! 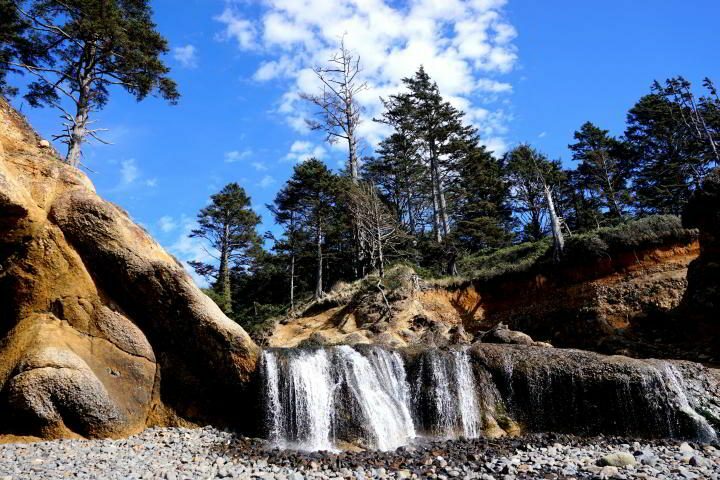 Your photos of the north Oregon coast are beautiful. This post is timely because I will driving up the coast later in April. Weather permitting, I will stop at Hug Point and Cannon Beach. Hoping April will be gorgeous weather for your road trip! If you happen to be going further north to Washington state let me know, I will be in Port Townsend until early May. It would be cool to meet up with you! You will have to return to Oregon Kay! The Pacific Northwest is one of the most beautiful places I have ever been. Have fun in Portland in June! My month here has flown by so fast…already thinking about a return trip to this area. The Oregon coast is soooooo gorgeous. Best wishes for your transition. Thank you Charles! All is going well, I feel very fortunate. Oregon is such a beautiful state. And, from looking at your pictures, it makes me want to visit again! The beaches there are gorgeous. They are not like California or Florida beaches where you surf and swim. Rather, you enjoy the scene, take a boat tour, or go fishing. It is fun just going to the coast and basking in the beauty that surrounds you!